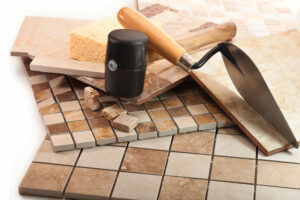 Want to learn tiling at the weekend? There are pros and cons to weekend tiling courses. Whilst we don’t offer a specific weekend tiling training course, we do offer a 1-day natural stone & business course and 4-day fast track tiling course, offering intensive and advanced tiling training at competitive prices. Whether you’re looking to achieve qualifications or just want to obtain some professional tiling skills, our tiling courses are undoubtedly an option for you to consider. A weekend tiling course can fit around your normal Monday – Friday job and is great if you have a very basic tiling project to do. The price will be relatively cheap ,as you wont have time to cover much. Some people think they can learn to tile in a weekend. This is impossible. A weekend course will only cover the absolute basics at entry level. Even if the course were over two weekends, you’d forget half of what you’d learned the previous weekend, as you’d have no continuity of work and would have to re-cap on the previous week before you started to learn something new. 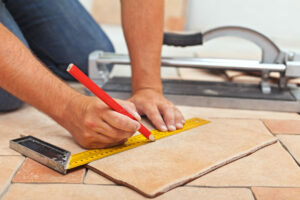 Who Are Our Tiling Courses Suitable for? UK Pro Tiling Training offers two shorter-length fast track tiling courses, both of which are incredibly practical and hands on and ideal for novices looking to learn tiling for a business or professional services, experts wanting to broaden their trade skills or hone their tiling skills, anyone seeking a new career as a tiler or people looking to take their tiling to the next level with weekday advance tiling training. On our short tiling courses, you’ll learn about natural stone tiles, marble, slate, granite and much more. You’ll also learn about wet rooms and tanking systems, cement backer boards, how to drill holes in natural stone and discover how to price work, sales and marketing, keeping accounts, trade prices of materials and a whole lot more. Our four-day course covers everything from how to use hand cutters to how to use manual and electric cutters. We will teach you fast. You will get dirty, so be sure to bring working clothes. You’ll find our prices are competitive and include the use of tools and materials for you’re tiling courses whilst you’re here, but for health and safety reasons,you’re required to have steel toe capped footwear to wear throughout the course. Our courses might be short, but theres certainly no compromise on quality. Each course is perfectly structured to get the utmost learning over to you in the shortest possible time. Unlike other cheaply-priced training centres that draw the courses out, ours get straight to the point, teaching you credible skills you’ll never forget. We believe in teaching by explanation and demonstration,so you can duplicate the skills we teach you. You will be taught by the owner, Darren, who set up the training centre and has delivered it for the past 14 years. Whats more, he has over 30 years successful self-employment under his belt so you can rest assured you’re in safe hands. For more FAQs about our courses, don’t hesitate to visit the frequently asked questions section on our site where we’ve answered your most commonly-asked questions in detail.